Second Ferment: Ottawa's Food Fest: Eat Drink Spring! 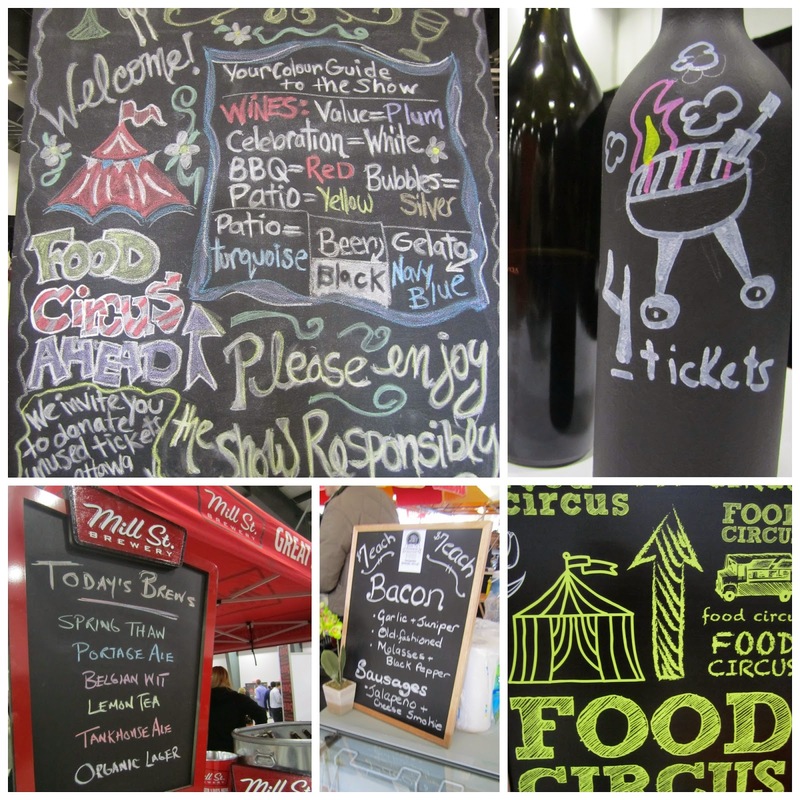 Ottawa's Food Fest: Eat Drink Spring! The inaugural Spring edition of the Ottawa Wine and Food Festival launched at the EY Centre in Ottawa this past weekend. Joan Culliton, director of the festival, and her crew rolled out the welcome tulips to bring a much-needed burst of colour and light to us poor snow-bound masses. All signs pointed to good stuff. Or described good stuff. Either way, there was good stuff to be found. Beer, wine and cocktail booths filled up the majority of the space in the EY's cavernous interior. Rod Phillips' top 100 wines for spring and summer were headlining, while several of the region's local brewers had also brought in their seasonal line-up of patio-worthy suds. My particular favourite was a Black Lager from Perth Brewing Company. A dark, stout-like appearance and nutty aromas belies the crisp, light mouthfeel. The flavour profile was full of roasted coffee and caramel. Best of both worlds. I chatted with Clocktower beer master Patrick Fiori about his latest experiment, the Valentine 17 bubble gum beer. He told me all about dry hopping, which sounds very much like steeping tea, only this time the 'water' is beer, and the 'tea' is 17 cases of Double Bubble. Not quite my cuppa, so I opted for their new Vienna Spring Ale, which was flavourful, light-to-medium bodied and refreshing. Out the back door of the cavernous hanger, a convoy of food trucks were parked under the "big top", with cart vendors creating a centre island loaded with churros, bao, meat-in-a-cone and freshly spitted piggies. A heads-up on this portion of the show being held outdoors might have been nice. We're still not out of winter yet, no matter what the calendar might say. Having checked their coats at the front, many guests (particularly the usual miniskirts-and-heels crowd, who were NONE too pleased) huddled beneath the few available space heaters to wait for their food before bolting back indoors. And this was the middle of the afternoon; I can't imagine how the evening crowd managed. But what the venue lacked in warmth it made up for in gastronomical delights. I don't work downtown, so I haven't had a chance to tour the street food circuit just yet. This stuff made me want to telecommute from Albert and O'Connor. Immediately. Chef Tarek Hassan of Gongfu Bao putting together steamed, stuffed sticky buns as fast as the orders came in. And lemme tell ya, there were a LOT of orders. An embarrassment of choice from Zazoo Glaces, including macarons-and-gelato "cupcakes".